A variety of easily avoided problems can cause vessel failure. Storage tanks play a vital role at chemical plants, oil refineries and other facilities, and represent major investments. Yet, despite all-too-frequent incidents of wrinkled roofs, collapsed walls and other failures, many people who design, construct, operate and maintain low-pressure storage tanks don't appreciate how frail they are. In his popular book "What Went Wrong? Case Histories of Process Plant Disasters" , Trevor Kletz starts the chapter on storage tanks by saying: "No item of equipment is involved in more accidents than the storage tank, probably because storage tanks are fragile and easily damaged by slight overpressure and vacuum. Fortunately, the majority of accidents involving tanks do not cause injury, but they do cause damage, loss of material and interruption of production." Dramatic tank failures feature in about a quarter of the case histories presented in the Beacon , a free Internet publication of the Center for Chemical Process Safety (CCPS) of the American Institute of Chemical Engineers. The incidents covered stem from causes such as overfilling, vacuum damage and explosions resulting from flammable mixtures in the vapor space. Figure 1. Over-pressure due to left-in-place blind caused base of tank to give way. So, here we'll look at factors that can compromise such vessels — and how to address them. Tanks come in a variety of designs. Some low-pressure storage tanks, sometimes called atmospheric storage tanks, are built to American Petroleum Institute (API) 650 specifications. Many large API-650 tanks have a flat to slightly coned roof and appear similar to a can of tuna fish or soup. However, a can of tuna fish or soup will withstand many times more pressure than a typical low-pressure tank . The weight of the roof often limits the pressure rating of low-pressure tanks. (Some low-pressure tanks have a floating roof but we won't discuss these here.) Another popular choice is the API-620 tank, which is limited by code to 15 psig. Its top resembles a puffed cupcake. There also are small shop-built tanks, transportation vessels, plastic tanks and an array of non-code vessels. In addition, a wide range of pressure vessels are designed and fabricated to Section VIII of the American Society of Mechanical Engineers (ASME) Pressure Vessel Code. Such pressure vessels come in a variety of shapes — the more popular ones are like a fat straight sausage or a sphere. The ASME Code covers vessels with internal design pressures from 15 psig to 3,000 psig. The largest low-pressure storage tanks often are the most fragile and most vulnerable to failure from both over-pressure and vacuum . Basically that's because a slight pressure over a very large area creates a large force. Simple operational situations often cause tank failures. Accidental overfilling, impeding exiting vent flow, and not allowing in-breathing as a tank is being pumped out are cardinal sins. Overfilling. A recent CP article, "Don't Underestimate Overfilling's Risks," focused specifically on the hazards posed. It cited three major industrial accidents resulting from overfilling — including a massive fire in December 2005 at the Buncefield Oil Storage Depot in Hertfordshire, England. The tank that caused the incident had an independent high-level alarm and interlock but the system didn't work. The September 2006 Beacon provided details on that disaster and related that overfilling has contributed to a number of serious incidents in the chemical and oil industries in recent years. Tanks must be engineered to provide protection — via alarms and high-high level interlocks — against overfilling of hazardous materials and the resulting spillage. Over-pressure and under-pressure. It's crucial to maintain the integrity of tank venting systems. Otherwise, catastrophic damage may result. Figure 2. There is no substitute for an internal inspection to help ensure mechanical integrity. Over-pressure caused a sudden drastic failure at the base of a 12-ft-dia., 24-ft-high fiber-glass acid tank (Figure 1). The tank was equipped with a separate vent line, an overflow line and a vacuum breaker. As a safety precaution when repairing an underground sewer line that would receive acid if the tank overflowed, supervision had the overflow line blinded and instructed operators to run the vessel well below the overflow line. The thought was that the vent line was sized sufficiently for filling purposes. Unfortunately, a blind from a previous job had been left within the vent line and wasn't detected. As operators started filling the fiber-glass tank, the inerts had no place to go and the tank was pressurized to destruction. Fortunately, no one was injured . Under-pressure led to a well-maintained low-pressure 20-ft-dia., about-30-ft-tall carbon-steel solvent tank with ¼-in. walls ending up as scrap metal after "improvements" to the vent system. To reduce emissions, vent recovery compressors and more-sophisticated instrumentation were replacing old-style conservation vents. While the first batch of material after the tank conversion was being pumped out, the roof and two courses of vertical walls were sucked in due to the lack of the nitrogen padding and the vacuum protection system being inadvertently isolated by a small block valve. A simple hinged vent lid had served well for decades. The lid was replaced with a much more complex system involving a vent compressor to recover the vapors and a nearly zero leakage pressure/vacuum device. The operators were well trained on the new compressor but not on the new piping arrangement. Worse yet, closure of a single small-diameter impulse valve rendered all the well-conceived improvements worthless. Oops, a $100,000 mistake . Plant designers must strive to develop user-friendly piping, layout and control schemes, and must clearly label equipment safety systems to reduce opportunities for failure. Venting systems should ensure proper protection during all phases of operations. Tank venting systems mustn't be altered or tampered with without a management-of-change review. None of this is new. In an ICI Safety Newsletter published in the 1970s, Kletz predicted a storage tank would be sucked in each year. Experienced process safety people hear of such situations every so often. CCPS has pointed out tanks' vulnerability to vacuum in two issues of the Beacon. Vivid photos of failed tanks demonstrated the importance of maintaining proper vacuum protection. The February 2002 Beacon, titled "A Little 'Nothing' Can Really be Deflating — VACUUM is a Powerful Force!," showed a rail car sucked in and a tank that collapsed while being painted. One main message was: "Whenever vacuum relief systems are removed, covered, modified, etc., special precautions are needed to prevent an incident." 1. Well-intentioned people can easily block vents. 2. Never cover or block the atmospheric vent of an operating tank. 3. Routinely check for plugging of vents on tanks in fouling service. • Tank spacing and layout are critical. Various property insurance publications and pamphlets from the National Fire Protection Association (NFPA) offer some guidance about the proper spacing of storage tanks, especially those that contain flammable or toxic liquids. • Tanks containing incompatible chemicals shouldn't be allowed within the same diking systems. • Fire-protection features, including static electricity dissipation, vapor space inerting, protective foam generators, water spray and dike designs, demand professional handling. • Venting systems not only must be well designed but also must be inspected and maintained during the life of the equipment. Tamper-proof vent designs are ideal. • Tank bottoms should be sloped and associated piping should be laid out to facilitate complete drainage. Tanks should be checked for internal and external corrosion. • Local conditions, such as the possibility of flooding or hurricanes, which can affect low-pressure storage tanks should be considered. • Adequate ongoing corrosion monitoring is essential. The BP booklet  contains a number of photos and brief descriptions of tank failures from corrosion. • Many helpful references are available. These include API-650, API-620, API-510 "Pressure Vessel Inspection Code — Maintenance, Inspection, Rating and Alteration," API-653 "Tank Inspection, Repair, Alteration, and Reconstruction," NFPA codes and Reference 3. To quote from the BP booklet , "Most tanks are made of carbon steel, which can corrode when exposed to air and water. Over time, uncontrolled rusting can weaken or destroy the components of a tank, resulting in holes or possible structural failures, and release of stored products into the environment." Effective timely inspections can drastically reduce failures from corrosion. Three different approaches to tank inspections are widely used. A periodic visual inspection by operators is the first line of defense. This type of routine monitoring focuses on evidence of seepage or leakage, tank settling, bulging or significant corrosion. In-service inspections generally are less frequent than operator reviews and typically are performed by certified inspectors. Such checks often start five years after commissioning, with frequency adjusted according to tank history, the risk involved and the corrosion rate. These most often involve taking ultrasonic thickness readings at key locations. Periodic internal inspections after the tank is drained and washed are a must (Figure 2). These can identify components that have shifted, localized pitting, etc., that may not be apparent from an external inspection. Typically internal inspections take place at a frequency between annually and once every ten years. The exact frequency is best determined by the corrosive nature of the fluid, including its trace components, and the past history of similar equipment on the site. Tanks can and do hold large inventories of a wide variety of raw materials, intermediates and finished products safely for decades. However, if a tank and its accessories are poorly designed, abused by operations or deprived of effective inspection and basic maintenance, bad things can happen. ROY E. SANDERS is a chemical process safety consultant based in Lake Charles, La. E-mail him at Sanders.Roy@Suddenlink.Net. 1. Kletz, Trevor A., "What Went Wrong? Case Histories of Process Plant Disasters," p. 97, 5th ed., Gulf Publishing, Burlington, Mass. (2009). Similar details are also found in all earlier editions. 2. Beacon, a free single-page monthly publication of the CCPS comes in many different languages. 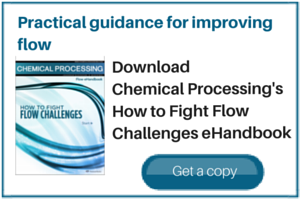 To subscribe, go to: http://www.aiche.org/CCPS/Publications/Beacon/index.aspx. 3. "Safe Tank Farms and (Un)Loading Operations," BP Process Safety Series, BP Safety Group, Sunbury-on-Thames, U.K. (2008). 4. Sanders, Roy E., "Chemical Process Safety: Learning from Case Histories," p. 108, 3rd ed., Elsevier Butterworth-Heinemann, Burlington, Mass. (2005). 5. Sanders, Roy, "Human Factors: Case Histories of Improperly Managed Changes in Chemical Plants," p. 150, Process Safety Progress (Fall 1996). It's important to consider a variety of factors when choosing the type of technology. Nonlinear control equations provide important advantages. Vessels used to smooth out flow pose special tuning issues. This first article in a four-part series examines reset mode tuning issues. Follow a simple rule for location of level gauge nozzles. Switching to a fluoropolymer lining provides long-term solution. Europe's largest-ever peacetime fire raises doubts over tank farm safety.